If there’s one thing about shaving I really enjoy, it’s using my badger brush. Not only is it good for preparing your face, but I find it soothing. When I opened this jar of Rituals Samurai Magic Shave and saw it had the consistency of cream, I knew this wouldn’t be my mind kind of shaving solution. My heart sank a bit because I really like the Rituals brand. To save the situation, I gave it a try with my brush and as expected, it didn’t work. In a last ditch effort to give this thing a try, however, I used my fingers to apply the Magic Shave and I’m so glad I did. The problems I’ve encountered with shaving solutions that have the consistency of cream is they end up clogging my razor, which lengthens the amount of time needed to shave. That can get frustrating. Rituals Samurai Magic Shave applies a nice protective coat to the face without being super thick. Even after attempting to work up a lather, which it did, a good portion absorbed into my skin and what was left was a thin coat which helped the razor glide across my face with ease. I really enjoyed the scent of this Magic Shave. It’s infused with basil and ginger, which work really well together. Again, in this area, Rituals hits the bullseye. Not only is the scent not overpowering, I didn’t incur any feeling of dryness. Normally the additives associated with producing scent in shaving solutions can cause dry skin. That’s far from being the case here. In a recent post, I gave a reader some tips for picking up the pace of their morning grooming regimen. 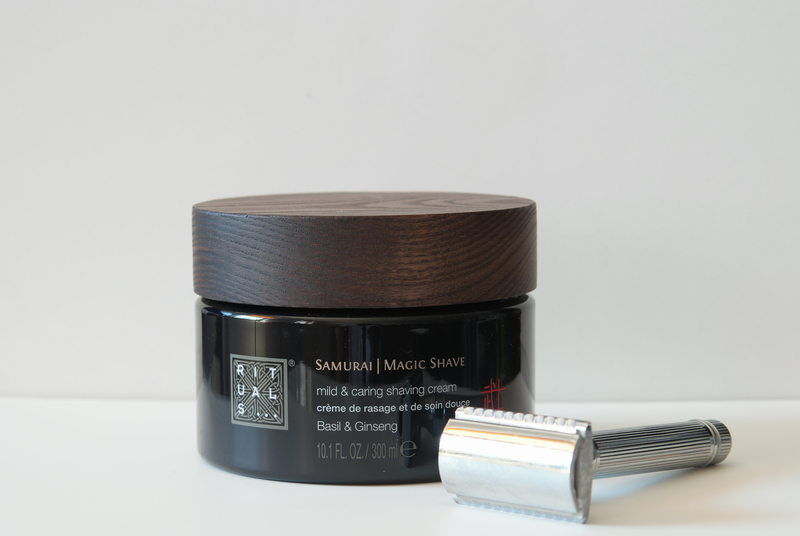 For those occasions, the use of Rituals Samurai Magic Shave will be my go-to. I can also see it being my travel partner as well. Rituals Samurai Magic Shave is available in a 70ml tube for $12, which isn’t a bad price if you want to give this a try. If you do, let me know what you think. This entry was posted in Uncategorized and tagged details, Imagelogger, Men's grooming, NX1, Rituals, Samurai Magic Shave, Wet Shaving. Bookmark the permalink.